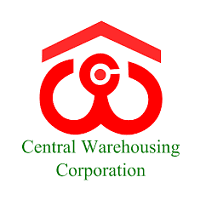 Central Warehousing Corporation Recruitment 2018 cewacor.nic.in General Manager, Secretary, Dy General Manager & Other – 46 Posts Last Date 1st November 2018. Last Date: 1st November 2018. How To Apply:All Eligible and Interested candidates Can Download application Form through official website http://cewacor.nic.in. After Filling The application form, candidate must send hard copy of application along with relevant testimonials (Mentioned In Detailed Advertisement) to the following Address before or on 1st November 2018.